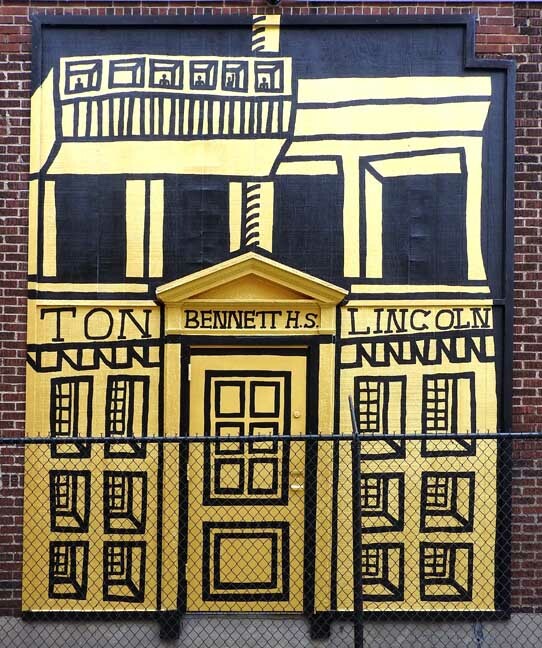 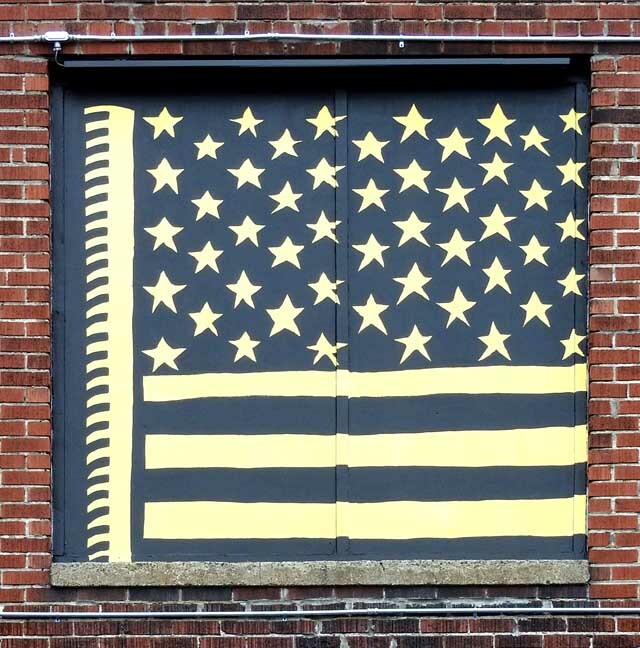 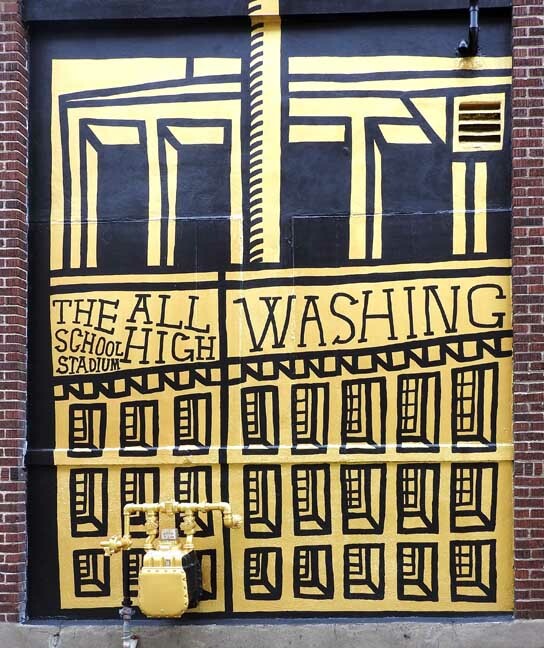 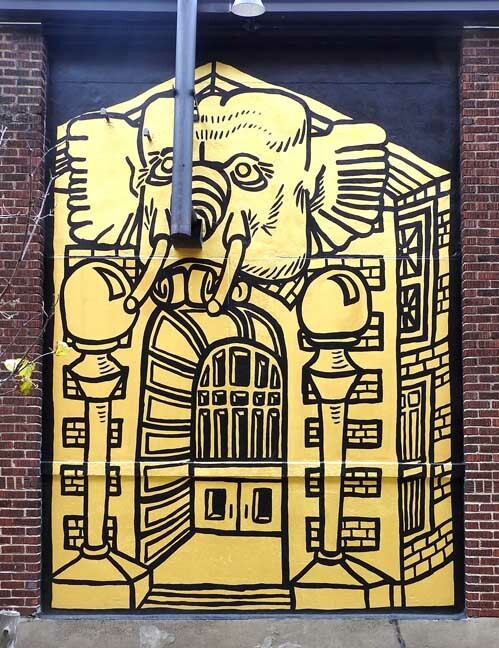 Buffalo, NY – Today the Albright-Knox Art Gallery announced a new mural to be completed by artist Daniel Galas (American, born 1982) at 74 Jewett Avenue as part of the AK Public Art Initiative. 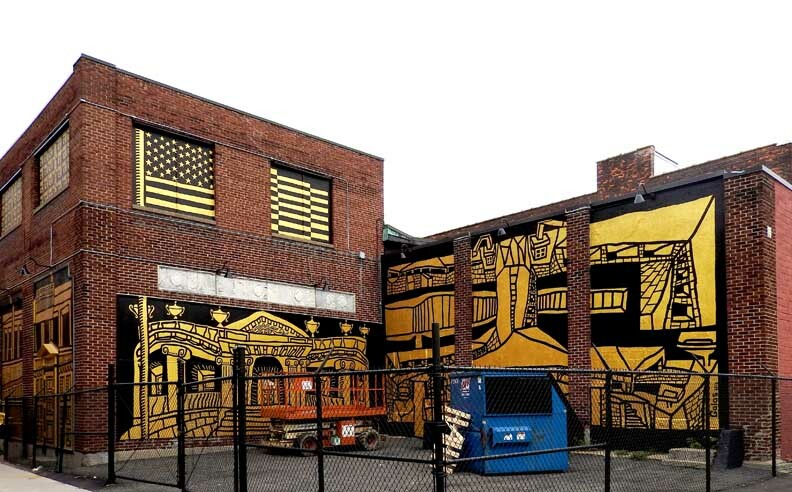 The location is home to Koch Metal Spinning, and the mural is made possible by Bank of America and Tri-Main Development LLC. 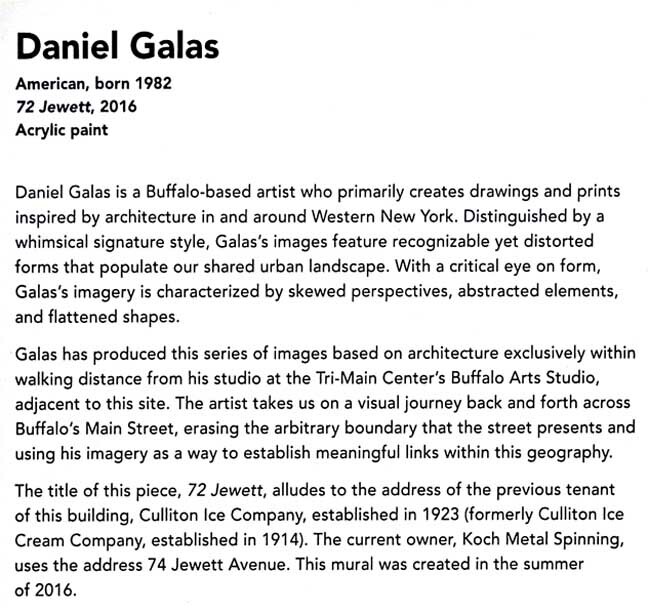 Galas is a Buffalo-based artist primarily focused on creating artworks predicated on architecture in and around the Western New York region. 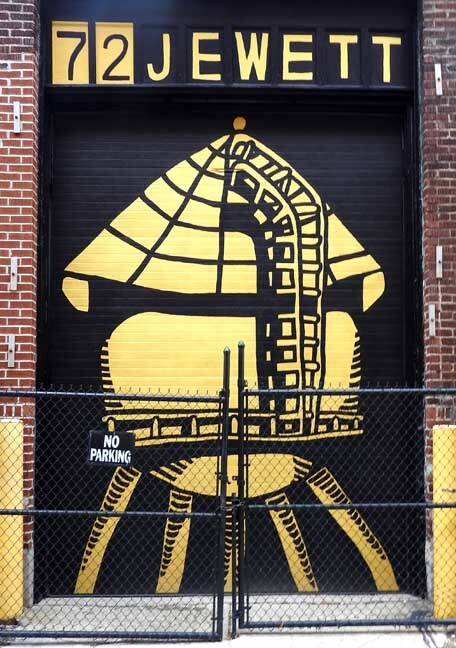 Featuring a whimsical signature style, Galas creates images of recognizable yet distorted forms that populate our shared urban landscape. 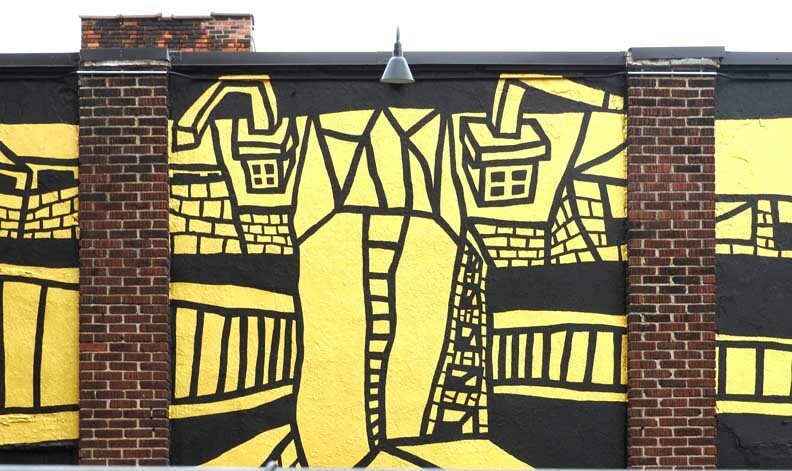 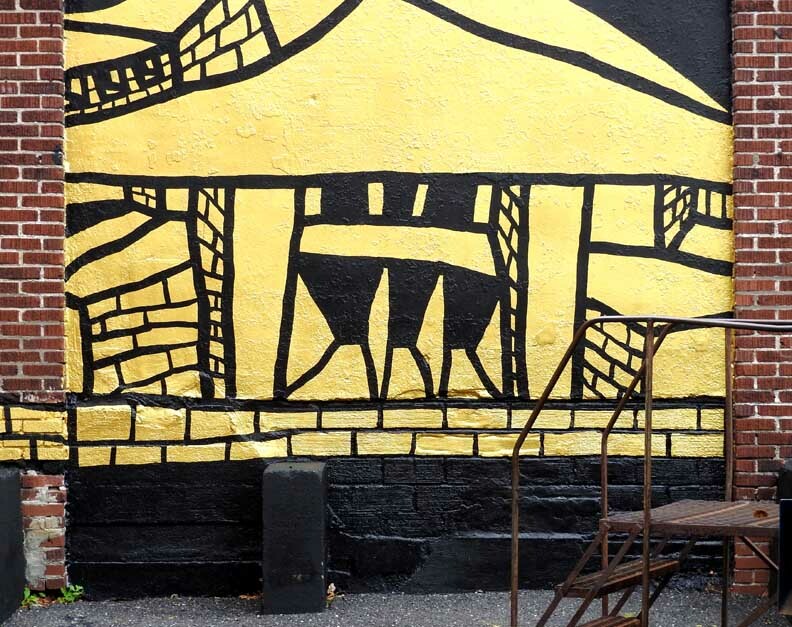 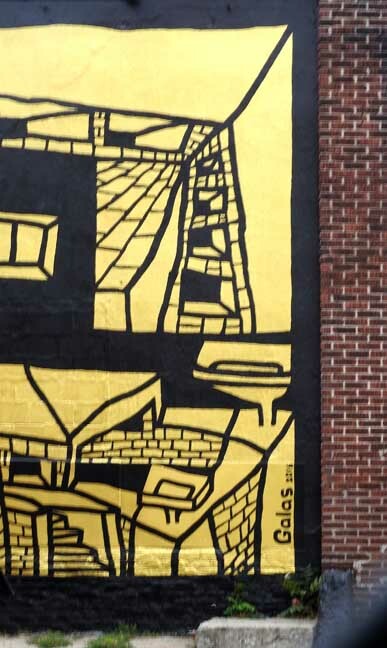 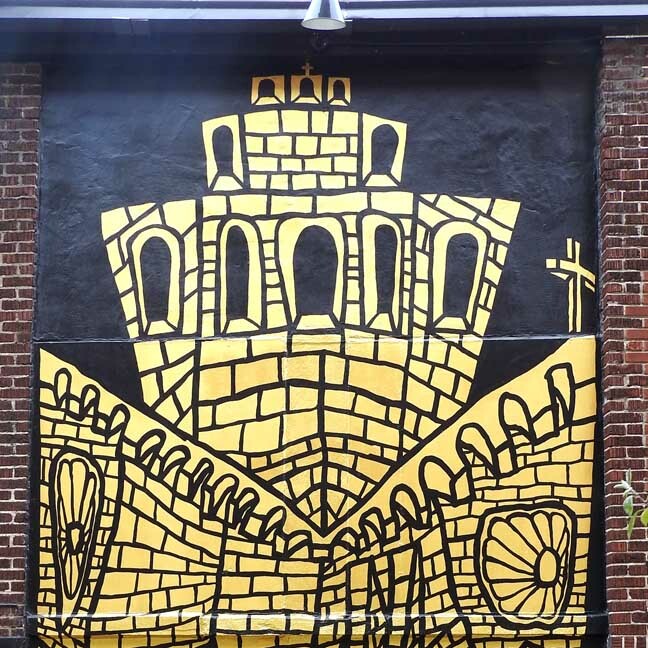 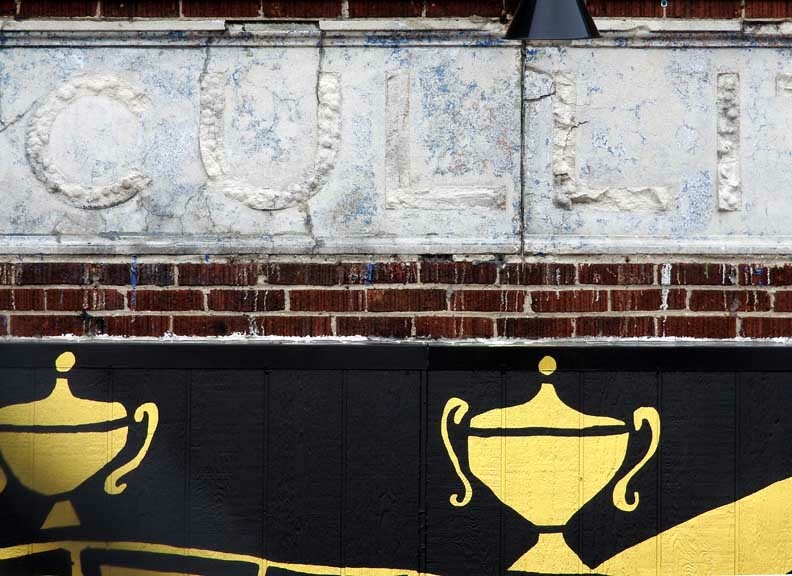 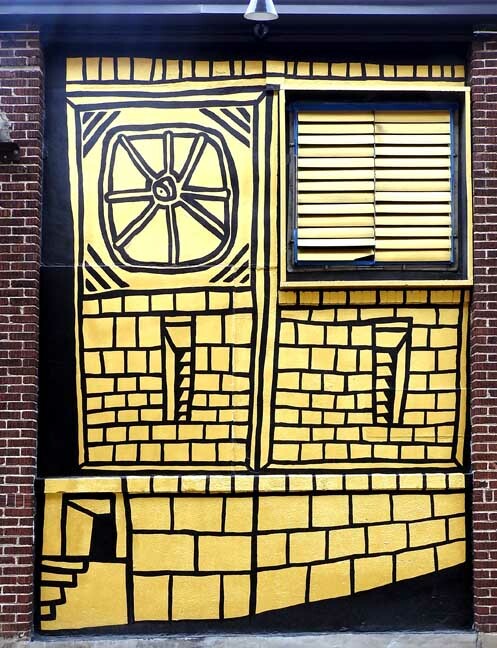 For the mural, Galas has focused exclusively on the architecture within walking distance from his studio, located at the Buffalo Arts Studio in the Tri-Main Center, and adjacent to the mural site. 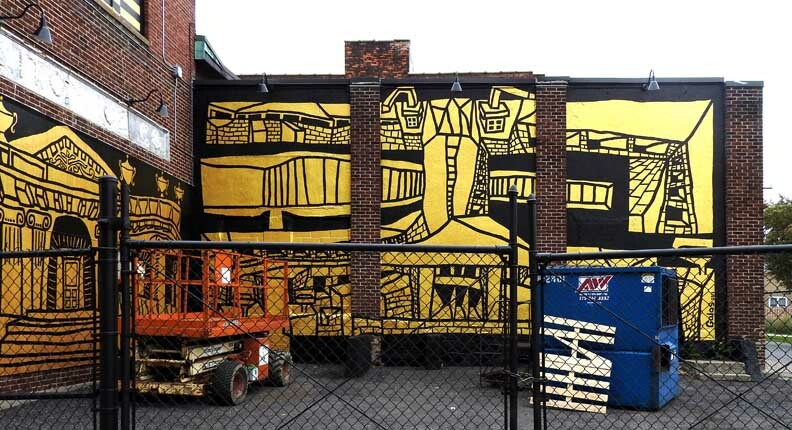 The location presents a series of sections that the artist will use as a framing device, setting up a cadence that takes the viewer on a visual journey back and forth along Buffalo’s Main Street divide. 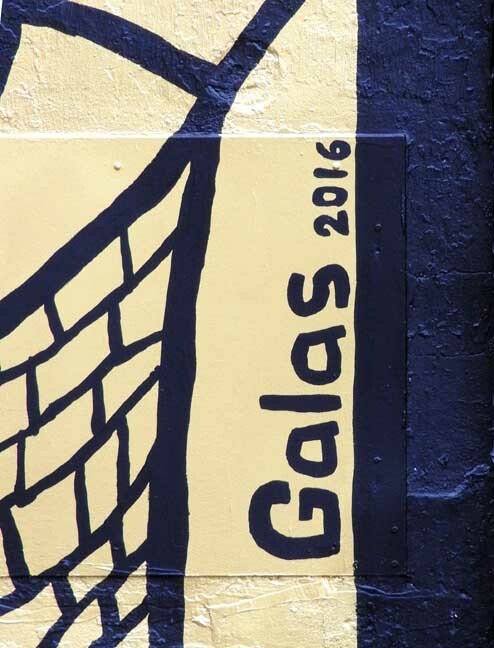 Galas has created a contemplative set of images that resonates with this location, establishing new associations between the sites depicted. 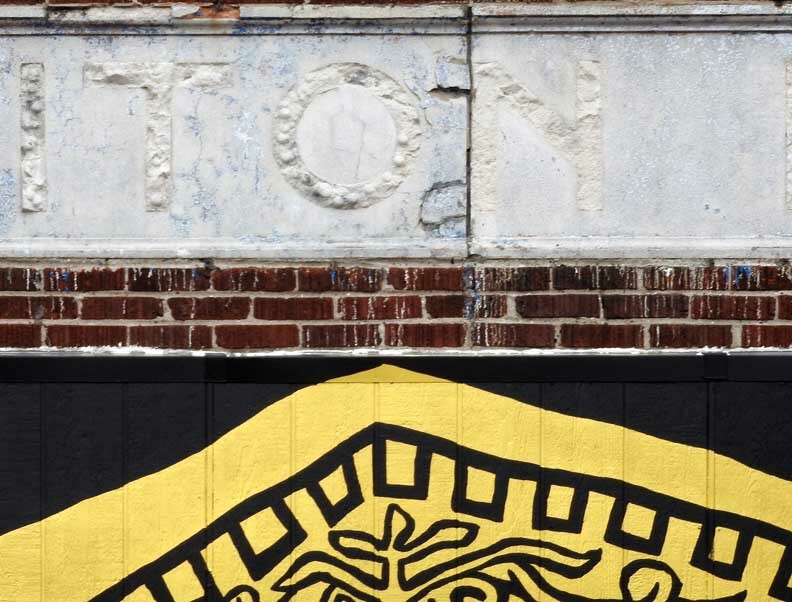 The work will be produced entirely in black and gold. 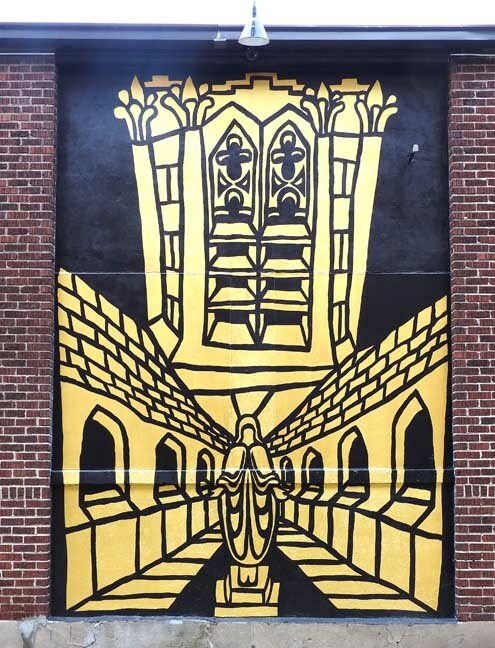 The color black relates to the artist’s established practice of printmaking and drawing. 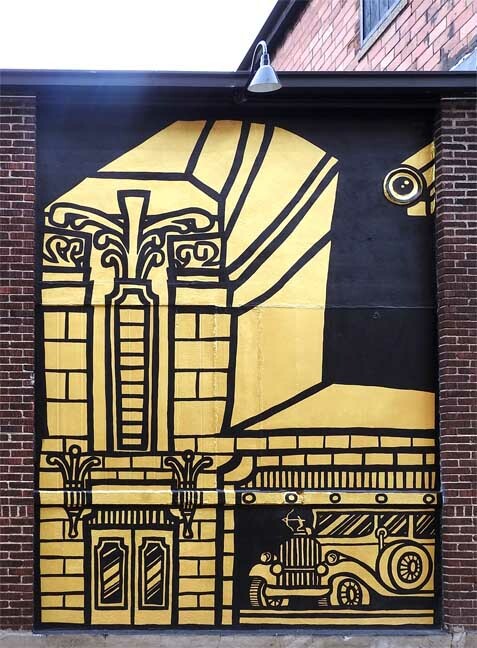 The gold is meant to elicit an intuitive response from the viewer that acknowledges the civic value of honoring our shared heritage. 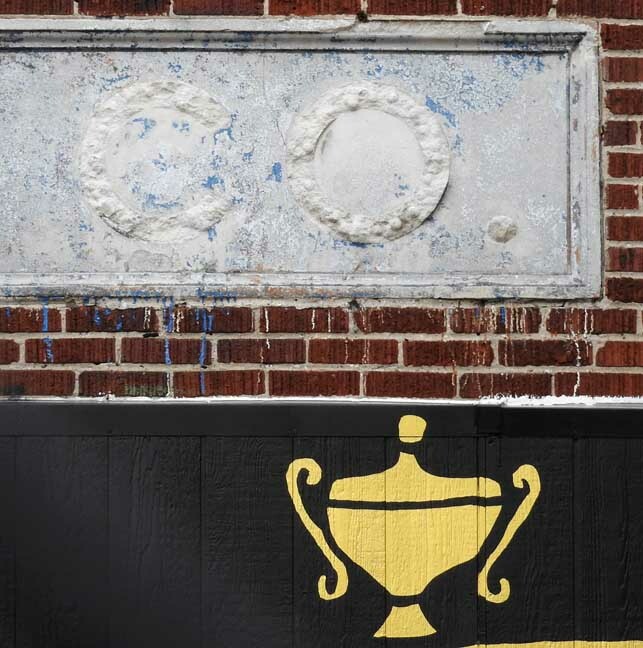 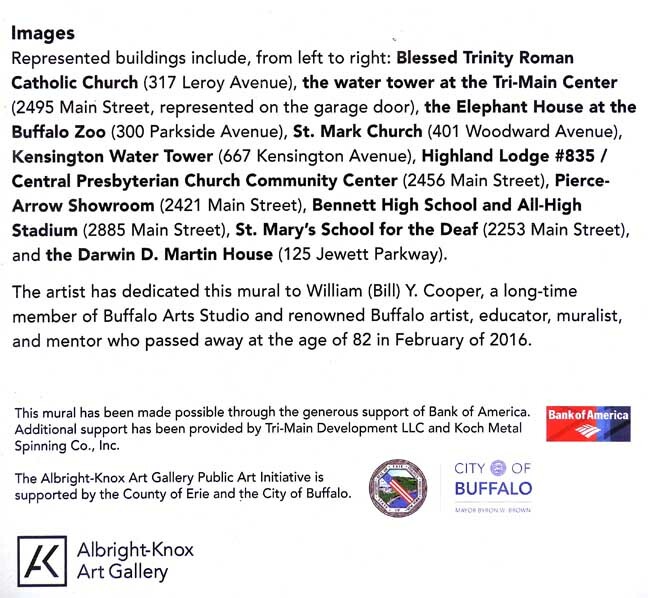 Buildings represented in the mural will include the Elephant House at the Buffalo Zoo (300 Parkside Ave.), Highland Lodge #835 / Central Presbyterian Church Community Center (2456 Main St.), St. Mark’s Roman Catholic Church (401 Woodward Ave.), the Kensington Water Tower (667 Kensington Ave.), Blessed Trinity Roman Catholic Church (317 Leroy Ave.), the former Pierce-Arrow Showroom (2421 Main St.), Bennett High School and All-High Stadium (2885 Main St.), and the Darwin D. Martin House (125 Jewett Ave.). 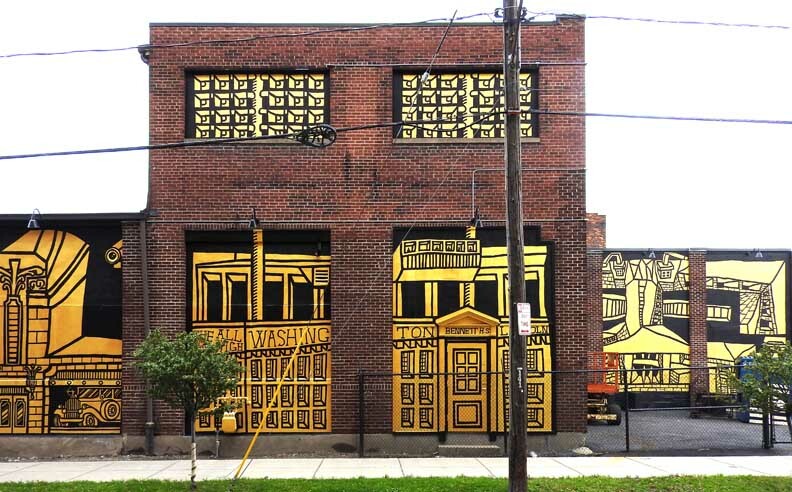 Over the next five years, the AK Public Art Initiative’s mural program will leave an indelible mark on various communities throughout Western New York. 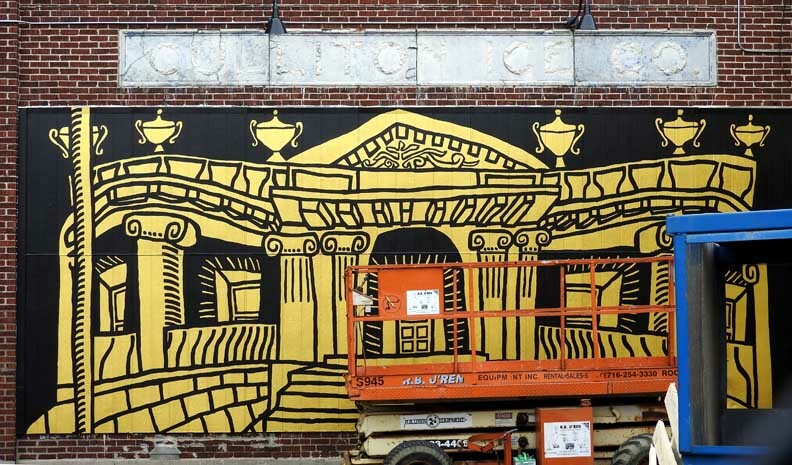 These murals will ultimately increase vibrancy, livability, safety, and pride in Buffalo’s historic neighborhoods. 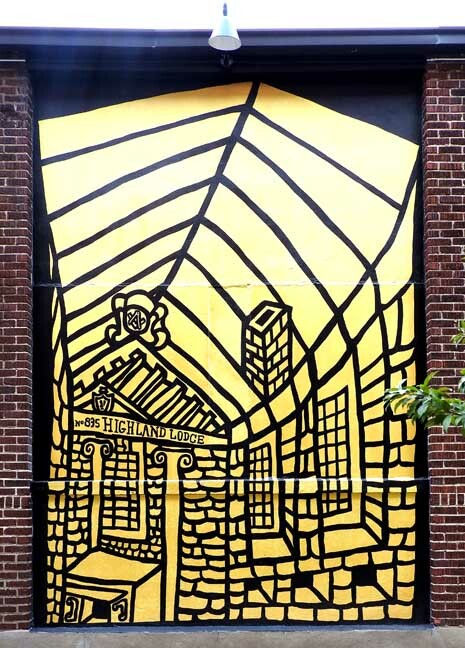 and Charles Clough’s collaboratively produced Hamburg Arena Painting, which is installed in the newly constructed wing of the Hamburg Public Library. 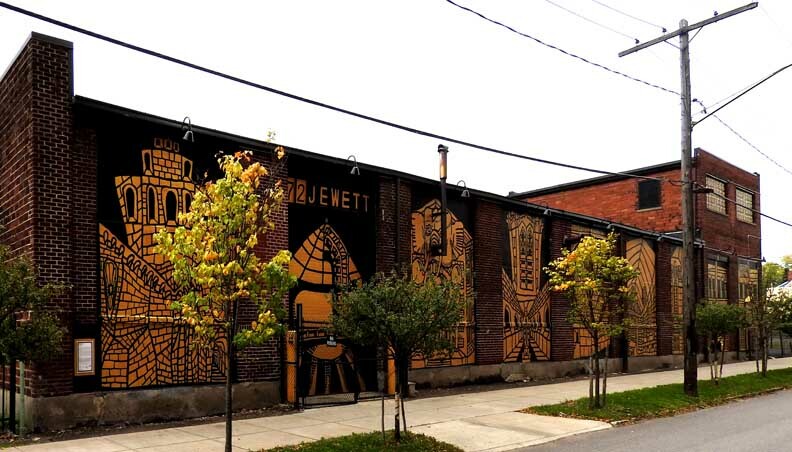 The Public Art Initiative has also distributed 30,000 art kits to students throughout Erie County.